Welcome to Delaware Valley Dog Training Philadelphia Best In-Home Dog Training! Delaware Valley Dog Training offers expert, veterinarian-recommended, reward-based dog training. We are some of the most successful and experienced behavior modification dog trainers in the country and regularly succeed with dogs that other trainers have given up on. At Delaware Valley Dog Training, we know how to solve some of the most difficult behavioral problems, including aggression, hyperactivity, and anxiety. We work with dogs of all ages, breeds, and temperaments and do everything from puppy training to basic obedience, from refresher courses for older dogs to behavioral modification on aggressive dogs. No dog is hopeless! We CAN train your dog! We offer a unique, in-home training program that is completely customized to you and your dog. Your dog receives an initial evaluation, an individualized training plan, and one-on-one attention until they’ve fully met their training goals and good behavior is their default behavior. 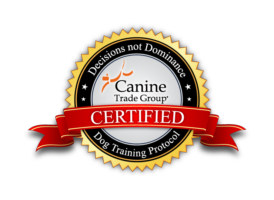 As the owner, you are involved in every aspect of your dog’s training from start to finish. We’ll work closely with you to ensure you learn correct training, handling, and communication techniques. As dog lovers ourselves, one of the things we love most about our training program is watching you develop a stronger relationship with your dog based on mutual respect and trust! We take pride in going above and beyond for our clients, and are so confident in our ability to train your dog that we charge by the project, not the hour. We always commit to helping your dog reach its training goals no matter how long it takes and promise to work with you until you’re completely satisfied. Our dog trainer is known for her professionalism, insight, and tireless enthusiasm. Let us show you how great life with “man’s best friend” can be! Contact us at 215.607.7508 or get in touch via our contact form to set up your no-obligation, in-home consultation. We can’t wait to start working with you!